» And now, a local sales tax on pot? And now, a local sales tax on pot? City Hall may see more marijuana debates if a tax idea moves forward. How about a city sales tax on recreational marijuana in case Oregon voters pass Measure 91, the pot initiative, on Nov. 4? The Albany City Council is toying with the notion, sort of. City Manager Wes Hare brought up the subject Wednesday night. The statewide ballot initiative allowing recreational marijuana, and having the state tax it, has a provision banning local taxes. That has apparently given some cities the idea they could pass a marijuana tax before the measure is enacted and then have their own local tax grandfathered. Ashland, the council was told, has passed something along those lines in case the pot initiatve becomes law. Delapoer says that if the council wants to try a recreational marijuana tax, it will have to act fairly quickly, especially if it intends to advertise and then hold a public hearing on a proposed ordinance before Nov. 4. So it’s possible he’ll come back with a draft when the council meets again Sept. 24. 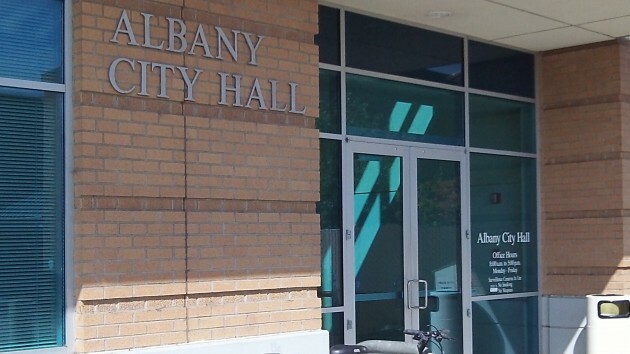 Ah yes, the City of Albany wouldn’t want to miss an opportunity to get into the wallet of the public they are charged with serving. You would think they were elected to tax us. Rest assured, the state will tax marijuana if the voters approve its use for recreational purposes. Cities in Oregon will lobby for, and get, their share of those revenues just as they get 20% of state gas tax proceeds. Our bunch in City Hall appears so “revenue hungry” they can’t seem to wait for the “water” to run downhill, metaphorically speaking. Pre-emptive taxation on a commodity before it is even legal? Brilliant!